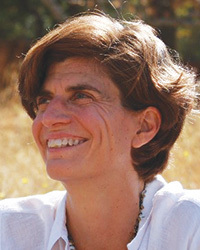 Grace Fisher is a licensed Marriage and Family Therapist with a private practice in San Anselmo. She has practiced Insight Meditation for over 15 years. She is a former lawyer who holds a Masters in Education from Stanford, a Masters in Counseling Psychology and is a licensed Marriage and Family Therapist (MFT) working with individuals, families, and young adults in Marin. At Spirit Rock, she was a member of the Teen Council for many years and co-led parenting and teen classes and assisted on the young adult, family, and women's retreats. She is part of the teaching team of the weekly Women's Class. As a mother of a young girl, she is especially interested in holding and supporting parenthood as a spiritual path.